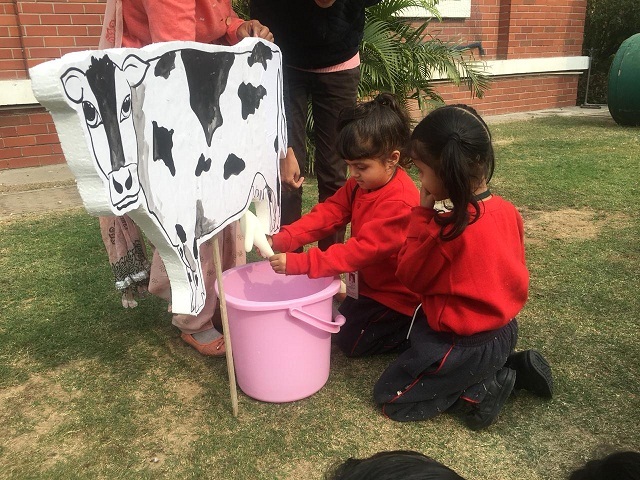 Students of Grade Kindergarten of ATS Valley School, Dera Bassi did cow milking activity wherein they milked the cow. It leads to development of their fine motor skills along with having lots of fun. 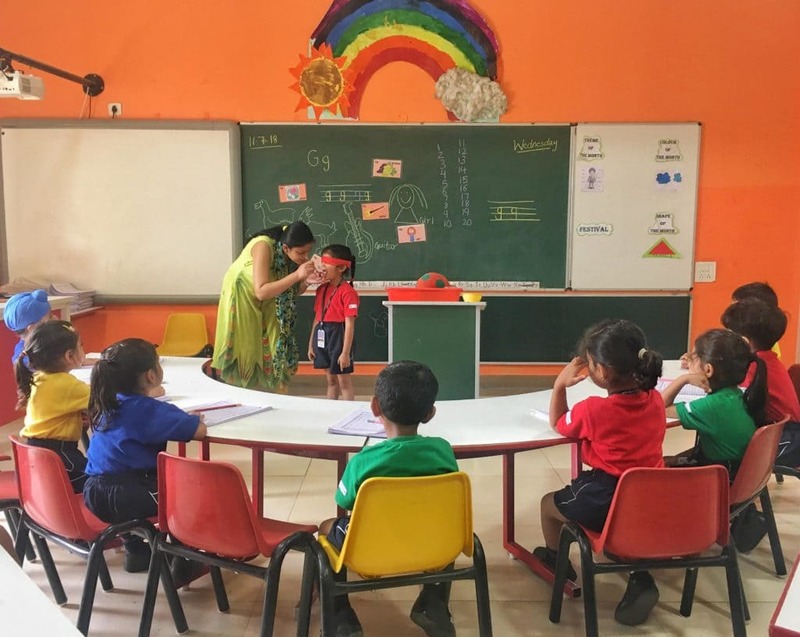 Tiny tots of Pre primary Wing of ATS Valley School, Dera Bassi had fun learning about Shape Triangle when their teachers made yummy sandwiches for them. The kids were very excited, enjoying activity to the fullest. Grade Foundation of ATS Valley School had fun learning colour recognition and matching colours along with the development of their motor skills, hand-eye coordination and language. 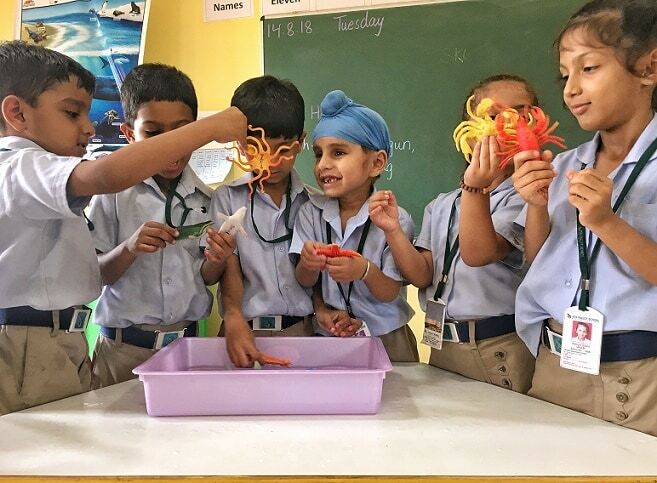 Pre Primary Wing of ATS Valley School, Dera Bassi did "Show and Tell" activity on Underwater Animals. The tiny tots of UKG showed a great enthusiasm and curiosity at the same time. Senses allow us to observe and understand the world around us. We do that through sight (with our eyes), touch (with our fingers), smell (with our nose), taste (with our tongue) and hearing (with our ears). Pre Primary wing prepared a magical box for their students in which they kept some objects. Students identified the different object from the environment to help improve their visual sense. For touching activity, blindfolded, they touched one hardball and a softball for the enhancement of their tactile sense. Smelling flowers/ Dettol enhanced their olfactory sense. For tasting activity, teachers put some sugar and salt. For hearing, teachers asked a child to come and speak in the ear of the participant and made a guess to recognize the voice if it is of a boy or a girl. This kind of activities, the school conducts regularly to help a child build an understanding of their five senses. What better keepsake to have for the first day of school than some handprint and footprint art! We thought this would be the perfect activity for our Foundation kids and they were immensely delighted to be a part of it. 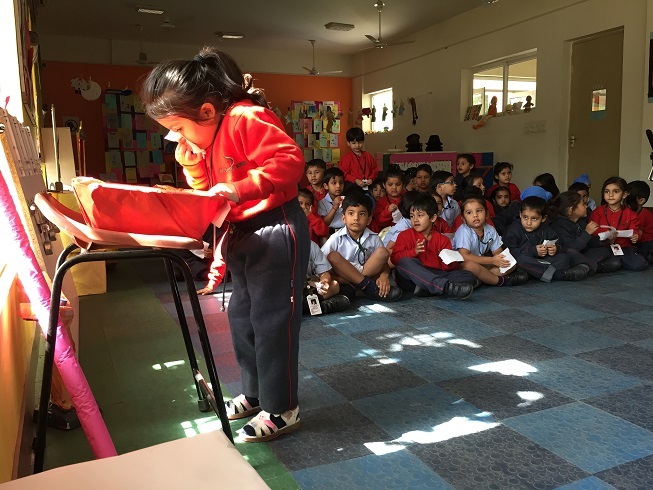 Based on the theme of Wild Animals, Pre Primary Wing of ATS Valley School, Dera Bassi decided to bring the zoo inside the school only. Through an animated show and tell activity, young children were exposed to the names of many animals and their traits. They understood the importance of taking care of the environment as it has a significant impact on the lives and welfare of animals. They learned what animals they like and they don’t like. Children were encouraged to move past their fears about certain animals, reptiles, and bugs. Well, a miniature of Zoo provided our young minds many incredible learning opportunities. 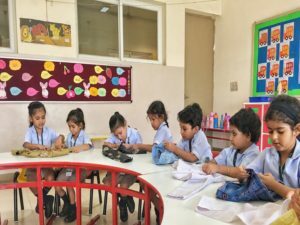 Pre-primary performed an activity of tie making. 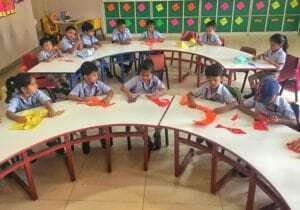 Children used triangle shape to make a tie followed by coloring it. 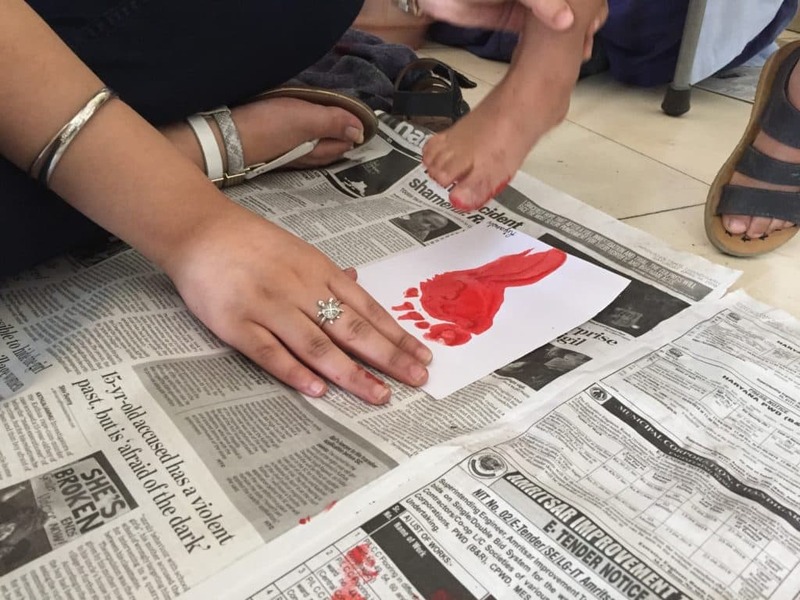 They also did cutting which helped in building their fine motor skills. 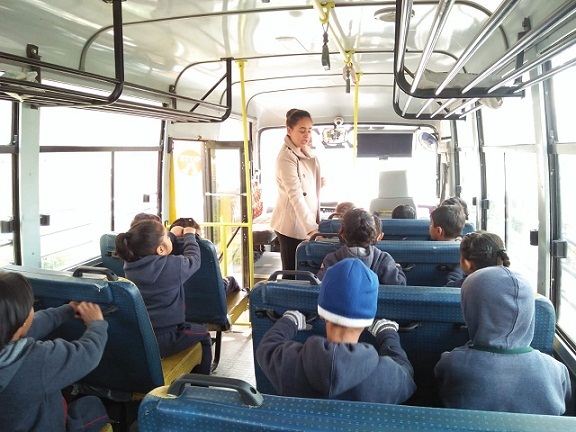 Students of Pre Primary section of ATS Valley School, Dera Bassi were taught the correct way to board and deboard the bus. They were also told to maintain a queue and to keep their bus clean and to throw the trash in the dustbin before sitting or getting down the bus. 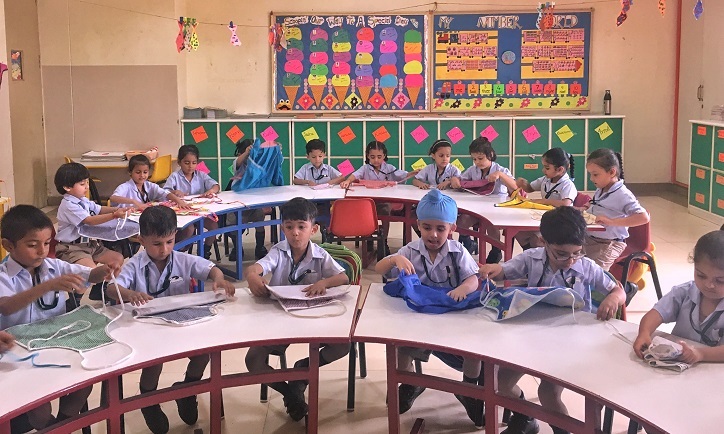 Three years old of Pre-Primary wing of ATS Valley School, Dera Bassi learnt the importance of arranging things in order.They started with learning an important skill of arranging colors back in the box after use. 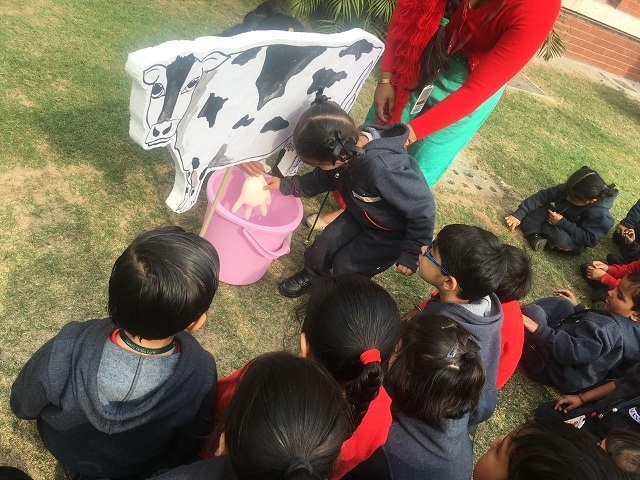 Teachers of Pre Primary wing of ATS Valley School, Dera Bassi encouraged children to learn how to maintain hygiene. 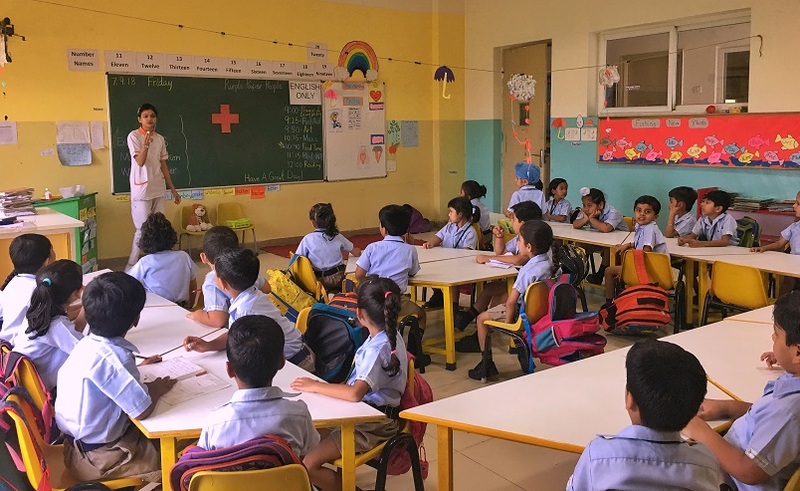 To carry out the life skill of learning how to maintain hygiene, students of Kindergarten were taught the correct way to blow the nose and also the need to say "Excuse Me" after coughing or sneezing. Pre-primary wing of ATS Valley School, Dera Bassi conducted a training session on First-Aid for kindergarten students. They were given a demonstration on injuries and how to care for them, in case they get hurt. They were also shown the Red Cross sign and talked about the First-Aid kit and the medicines and ointments to keep. and also develop sense of responsibility towards their belongings. Playing with clay is a regular activity in Grade Foundation of our school. Clay stimulates the child’s curiosity, intelligence, imagination, and creativity. Manipulating a piece of clay develops the child’s large and small muscles and fosters eye-hand coordination. Soft clay is receptive and responsive to all kinds of emotional expression. Clay is so fascinating that some children work for long periods without any adult motivation to maintain their interest. Teaching children about hand washing early in life is important. Hand washing prevents the spread of diseases which make children sick. When kids learn early in life, hand washing is more likely to become a habit they’ll practice for the rest of their lives. Grade Foundation children were toilet trained followed by teaching them how to wash their hand properly and its importance. There are many activities that can be done with the help of lock and keys like digit and number match, letter sounds, coin match etc. It is easy to modify lock and key activity and students love it. This activity is beneficial in a number of ways like it improves the hand-eye coordination and finger strength. 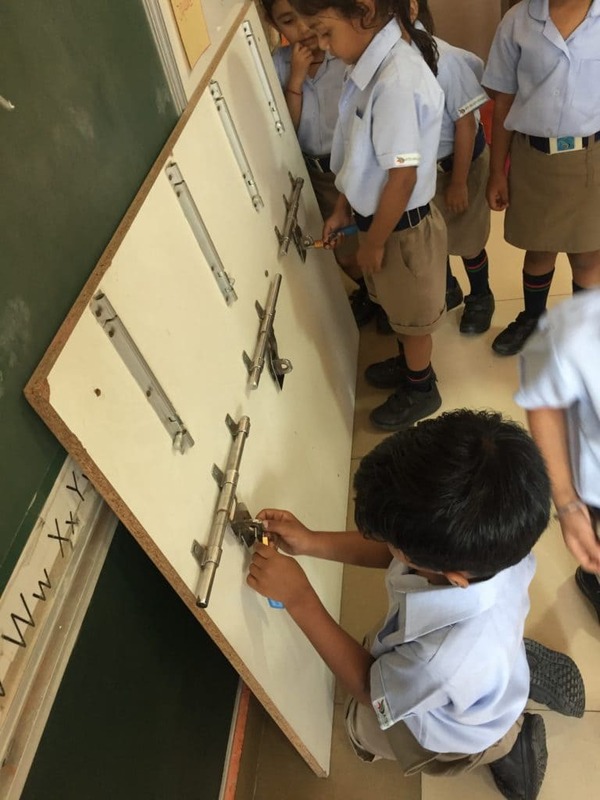 Students of kindergarten tried the keys in each lock around the classroom until they found a match and the lock popped open. Children used their fine motor skills to twist and turn keys while unlocking the locks. It is a wonderful way to polish both fine and gross motor skills of the students. “We owe a lot to mother nature.” To imbibe this value and understand this feeling, we are constantly encouraging our children to help in plantation drive. 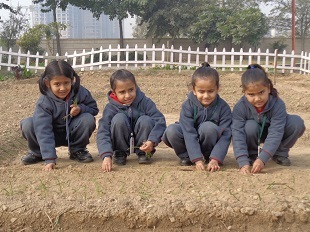 Students of kindergarten planted onions in the kitchen garden of the school. 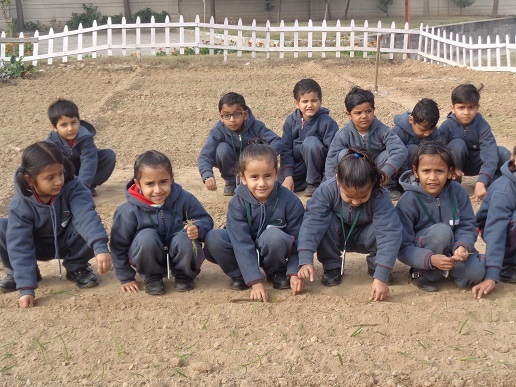 They also learned identifying the types of plants (onion is an underground plant), right soil for right plants, giving manures and fertilizer and how to water them. 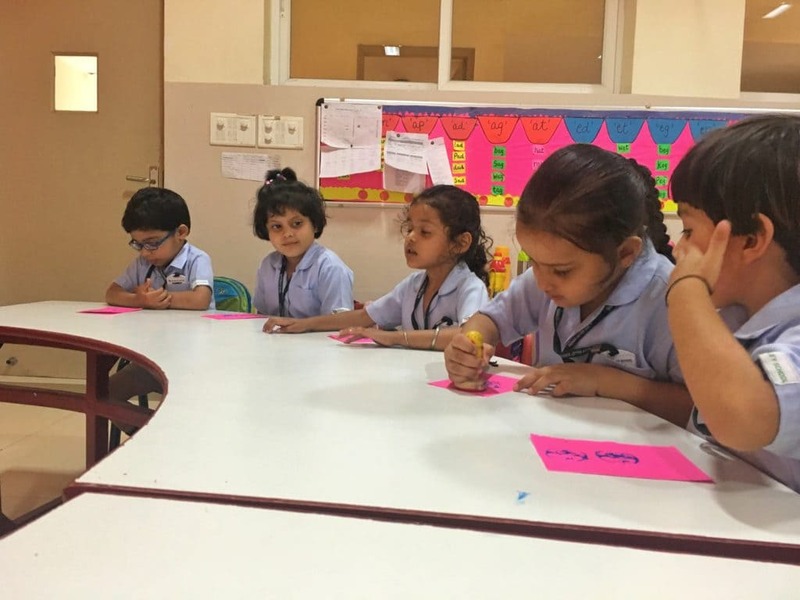 Pre-primary children were indulged in a simple but creative card making activity with a sweet message. "Thank You" for the Didis and Bhaiyas for their love, care and support.